Hey everybody. 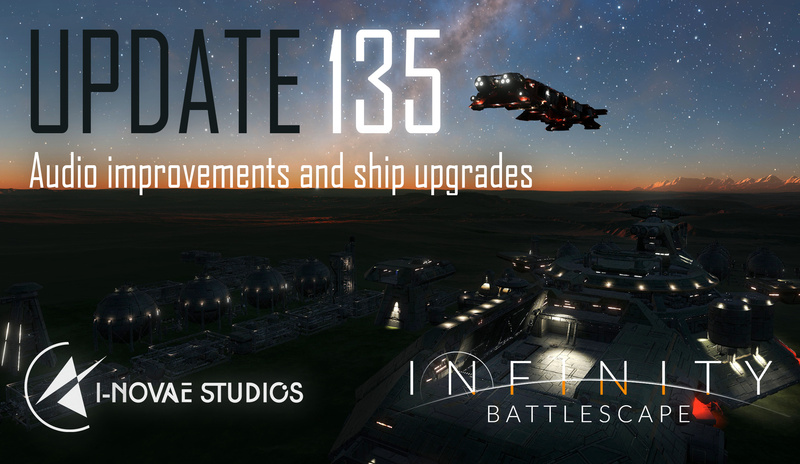 As you noticed I somehow skipped the update last week, as I was busy working on the next patch. I wanted to make sure that everything that I would mention in this update would be included in the patch. We are hosting a new community event tomorrow at 20:00 UTC, see this thread for the details. As usual I’ll be patching the game tomorrow a few hours earlier ( hopefully ) than the event starts. We introduced FMOD in the previous patch. This patch is another step up on the integration of our audio library with plenty of improvements. First of all, quality improvements: we were generating too many 3D sound sources, too far away. I profiled a medium battle and realized we had close to 2000 sounds active at a given time. This stressed FMOD systems and caused high cpu usage, forcing some samples to get dropped… and generating a lot of crackling / noise issues. This wasn’t an issue when we were using our old audio library ( OpenAL ) as we were managing the lifetime of sounds ourselves and were cutting sounds too silent / far away from the listener. FMOD requires us to be smarter, so I ended up implementing a “streaming” system for sounds, especially all the 3D sounds attached to a ship ( like, dozens of looping thruster sounds ) which now get created / destroyed on-demand, based on distance to the listener. As expected, this fixed most of the audio glitchess. Another area of improvement is doppler. All sounds are now assigned a proper velocity which cause a doppler effect. It can still sometimes be slightly buggy when you approach a source at a high relative velocity, causing a sudden high pitch sound, but we’ll address that at a later stage. Overall, the doppler effect adds a ton to the sound ambience, as you can now hear incoming / outgoing nearby ships flying around you. Finally, we introduced the “muffle” effect in space. A low-pass filter, simulating muffle is being applied to all 3D sounds. It is done dynamically, so sounds closer to the camera will be normal, but sounds will slowly get muffled the further away they are. The system takes into account atmosphere too, so a denser atmosphere will not muffle as quickly as, say, in deep space. Overall, all these changes have vastly improved the sound system. Keep in mind the sound samples themselves are still placeholders, for most part. FMOD supports stereo sounds but our sources are all mono, so there’s still room for quality improvements once we replace the 3D sounds with the new effects in a few months. Kristian has finished texturing the interceptor. Only two base skins are available at the moment ( Scoria and Havoc ) but we’ll add more skins at a later stage. The custom skins we had for the cruiser were done to validate the system. We’ll come back on producing more skins for all ships once we are closer to the release. The next ship in line for texturing is the Destroyer. The game now supports dynamically mounting / unmounting ship upgrades and internal equipments. We even have a command line ( for admins only ) to mount stuff on any ship. However, since we’re still lacking the UI screens, the ship default configurations are still static for now. In order to test the new upgrade system, we ended up implementing two new equipments: the long-range scanner, and proximity mines. The way it works is as follows. 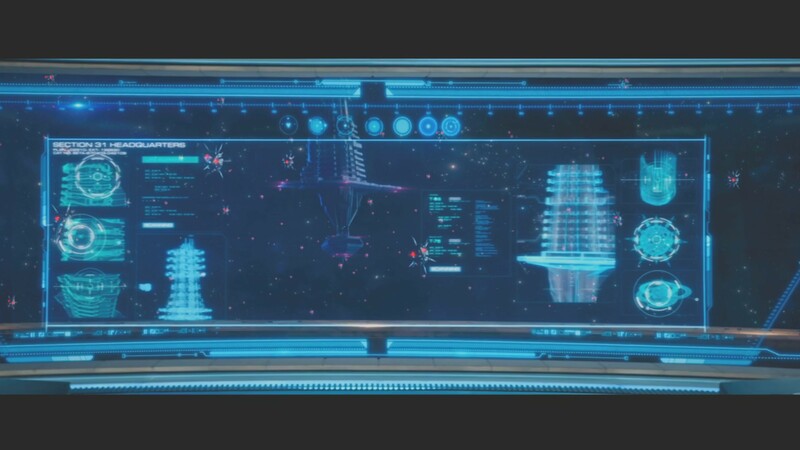 As you know, we already have an energy emissions system ( the little graph displayed on the top-right corner on the HUD ). 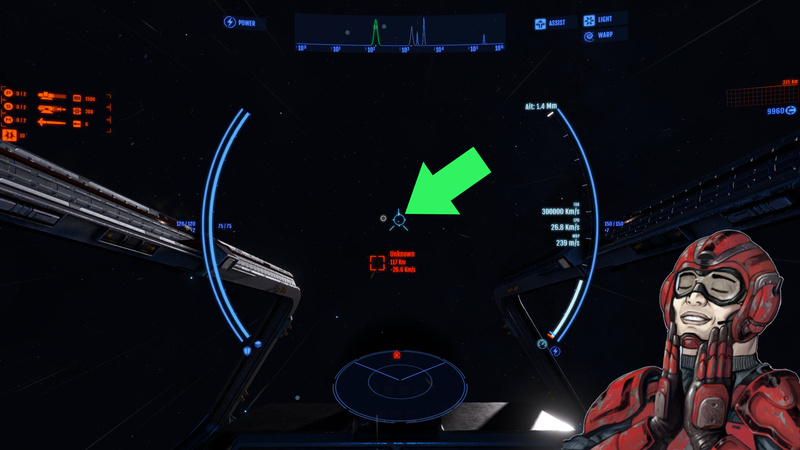 It shows the distance at which your ship would get detected by an enemy and flashes in orange when you are being detected. The long-range scanner allows you to get some information about long-range targets that haven’t been detected by you or your team yet, like enemy infrastructure. Note that in this patch, a base that hasn’t been scouted yet will have its name appear as “Unknown”. The scanner acts like a spectrograph. Horizontally, you can see the distance of a signal. The scale is based on powers-of-10, so 10^3 at the middle is 1000 Km. The maximum range is 10^6, or a million Km. Almost 3 light-seconds and plenty enough to detect everything in a Battlescape. Vertically, you can see the intensity of the signal. It isn’t linear either, but the scale doesn’t really matter here; just know that a higher amplitude means a stronger signal. The width of the signal is also important, although more subtle, and roughly maps to the arc angle of the signal. It’ll shrink at higher distances. Note that the radar does not give direct direction information. You know the type of signal and you know the distance, but you don’t know if it’s in front of you or in your back. This is why there is an additional element to the scanner: a doppler effect. The signals will shift to green as you approach them and to orange/red as you get further away from them. The stronger the color, the higher the relative speed is. 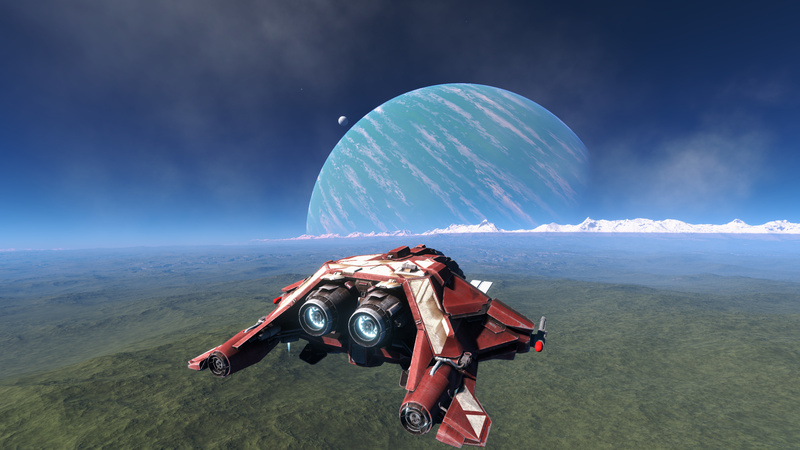 Design-wise, the idea of the scanner is to introduce an element of player skill instead of making another “press-a-button-and-ping-the-entire-system” which you can often see in other space games. For this reason, we’ve also shifted the reward system related to scouting a base: the more difficult it is to find a base ( aka, shorter signal range and amplitude ) and the higher the reward, whereas in the previous versions, the bigger bases ( like Glimmerfall ) were the easiest to spot and were giving the highest rewards. Now, scouting Glimmerfall will bring less credits than scout, say, a small hidden factory somewhere on a planet. 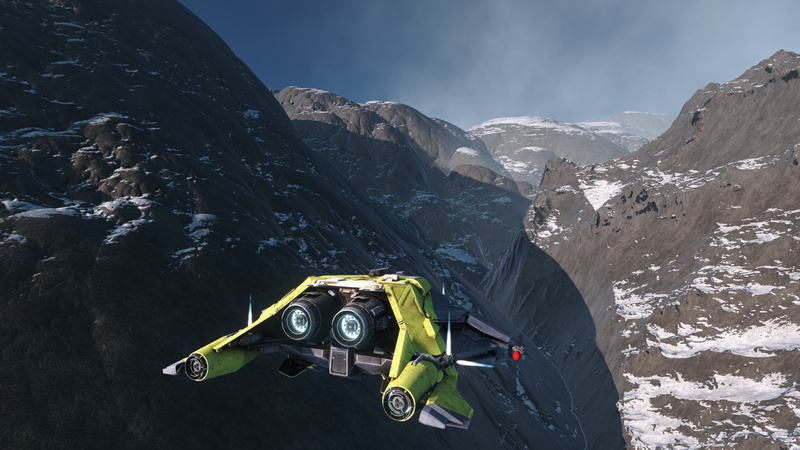 Finally, the new scanner system isn’t restricted to bases. It can potentially scout haulers or other capital ships. 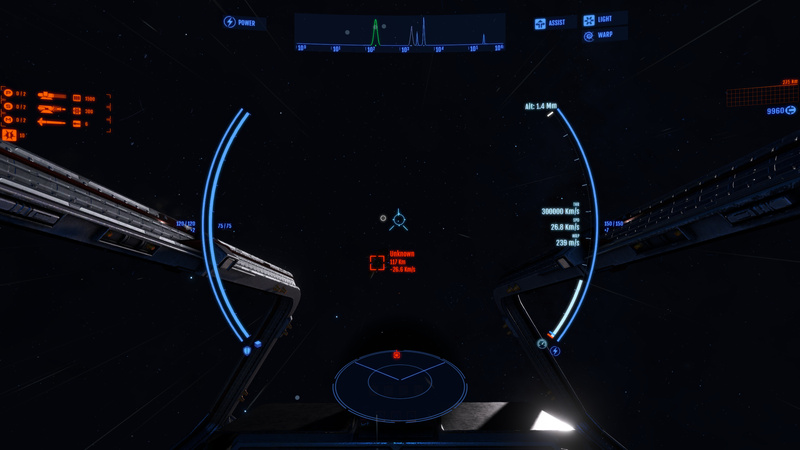 So it is possible to see a signal where a battle is happening, although it might not have much practical interest ( if there’s a battle going on, chances are members of your team are there, so it’s already displayed on your HUD as indicators anyways… ). The proximity mine launcher is only available on the Destroyer. It has a capacity of 6 mines. Cooldown is 20 seconds. If you played the Infinity Combat Prototype, more than a decade ago ( aah the nostalgia ), this should ring a bell. 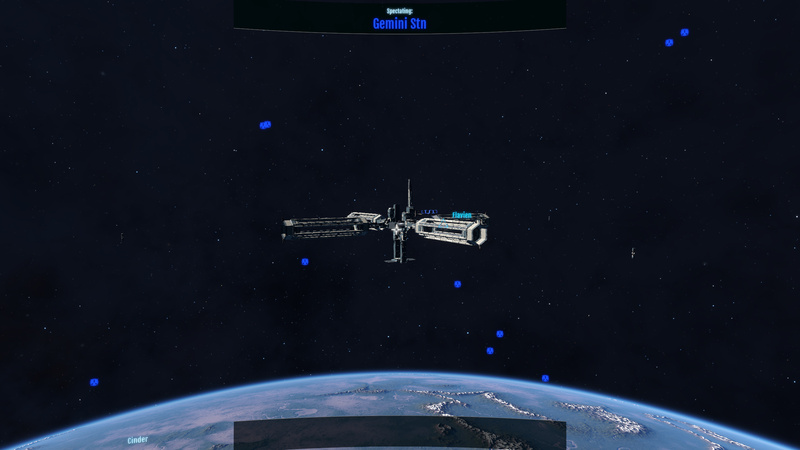 Space stations are now protected by clusters of proximity mine fields. The number of mines in a cluster and the distribution of clusters around a station is randomized, and bigger stations will have a higher amount of mines. A single cluster can have between 2 to 5 mines but it’s possible to find a couple of random isolated mines too. The Destroyer now has the ability to deploy mines. Once deployed, a mine will slow down and stand still, ready to get activated ( there is an additional delay of 10 seconds before a mine can be activated, so that it won’t detonate too close to your Destroyer if you were deploying it in the middle of a battle . Mines from a defensive mine-field have an infinite life time. Mines deployed by a player have a 10 minutes life time, but can only expire when there are no nearby ships. Otherwise their life time is potentiaolly infinite too. Mines do a lot of damage. Like, a ton. Like, 10K damage. That’s almost 3 torpedoes. Due to their high damage, they also cause a lot of splash within a 1-km radius. It is guaranteed death to an interceptor that is too closer to an exploding mine. For capital ships, mines are a real threat. Mines are slow. Twice slower than torpedoes. They can easily miss or overshoot their targets. They only detonate on contact or near-contact. Mines have a high activation range: 40 Km. However they do not stack within a 25 Km range. This means that if two mine clusters are very far away, you can potentially be targetted by 2, 3 mines or even more ! Mines only lock on massive targets. That means capital ships ( Destroyer and above ) or… other mines. Yeah, mine wars can happen. I’m looking forward to mines billiard. Since mines have a high activation range, the threat can be anticipated from 30 seconds to a whole minute before. If capital ships have difficulties with mines, it is recommanded they get help from interceptors to clean up the mines before they detonate. Mines explode on contact of anything, so a single missile will get ride of them at a high distance. Mines can detonate when firing at them from an Interceptor too. They have 1000 HP, so a few volleys should be enough to kill them. Beware not to be within a 1 Km range when they explode. They give a small credits reward too. Explosions now have shockwaves, that can “bump” nearby entities. It would be possible to have a chain reaction in a mine field, if the distance between mines was close enough. Mines are sneaky ! Their detection range is barely 10 Km, but as mentionned above, they’ll activate on a target up to 40 Km away. So they will likely lock on you, despite the fact that you can’t see them yet ! With safetely lock disabled, mines will no longer slow down and stop, but keep their momentum forever. With some skills it might be possible to use them as bombs, throwing them towards another capital ship, or bombarding a base on a planet ? It might be incredibly difficult though, but technically it would be do-able. If a mine does not have a target yet and are getting attacked by a ship ( on which they wouldn’t usually lock, because too small, like an Interceptor ), the mine will activate and lock on the attacker. The community event should be fun. There are a lot of new things to test, and the full patch list isn’t out yet. See you in game tomorrow ! Mines only lock on massive targets. Flavien said in the discord no. But they detonate on anything they touch. So mines would have to either be launched extremely close to the station, or the mines would have to carry the momentum of the destroyer, and the destroyer would have to be heading towards the station. Or if the mines are affected by gravity, but probably not. Sick stuff. Nice. Going to look forward to that! Can an interceptor attack a mine to get it to chase it, and then run to the other side of the station so the mine will ram it? Yes, it should be possible. This is the initial implementation, so some strats might be overpowered. Or maybe it’d take too long: if a mine is 40 Km away, getting it to chase you until it reaches the station might take a couple minutes. Maybe it’s not worth it. Maybe it’s totally worth it. We’ll see. Mines do not lock on stations. But they can lock on other mines. Mines are affected by gravity, so they’ll transform into bombs on planets. Not sure how easy it would be to precisely aim at a location. Probably very hard. I ended up enabling auto-turrets ( both on capital ships and stations ) to be able to target mines. There are special rules though: they’ll only target a locked-on mine, to avoid disturbing the non-active ones by accident. They also leave out mines that get too close ( < 1 Km ) to avoid causing them to detonate instead of overshooting. I ended up enabling auto-turrets ( both on capital ships and stations ) to be able to target mines. I know it probably wasn’t me who convinced you to do this. But I feel a sense of pride after seeing this. Even if it’s to strong and gets removed eventually! Thats a long newsletter. All shared around the usual forums. Have a good community meet up this weekend. From Star Trek Discovery, episode 9 , series 2 on Netflix.